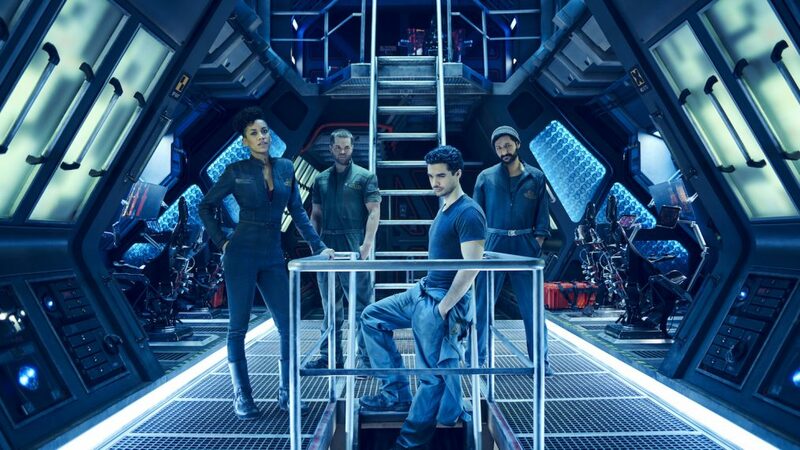 If you’re not a fan of the SyFy channel TV series The Expanse, bear with. But for fans of the show . . . Amazon — in fact Jeff Bezos himself — announced tonight that there will be a 4th season of this futuristic television series. Two seasons of the show (and a 3rd in progress) have aired on the SyFy channel. However, SyFy cancelled the series about two weeks ago. But fans of the show (like yours truly), signed petitions, wrote letters, flew airplane banners over Amazon, sent a miniature spaceship into space , and George R. R. Martin in an attempt to save the show. What fans love about the series is its excellent writing. The show is based on a series of novels by James S. A. Corey. In addition, the ensemble cast brings the books to life with the most credible dialogue I’ve listened to in years. If you’re not a fan, give it a try. Watch episodes on SyFy or iTunes. Here’s a fan-made trailer for The Expanse . . .
Big fan also …. this is great news!